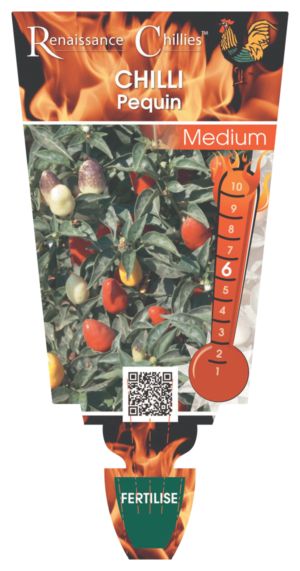 A medium sized bush with attractive, pendulous fruit that ages from green to red. This variety originates in Mexico. A thin walled fruit that is good for drying. Chillies form an integral part of many Asian and Latin American dishes along with some European, African and North American. Indeed over time most cuisines have added this fiery little fruit into their recipes. 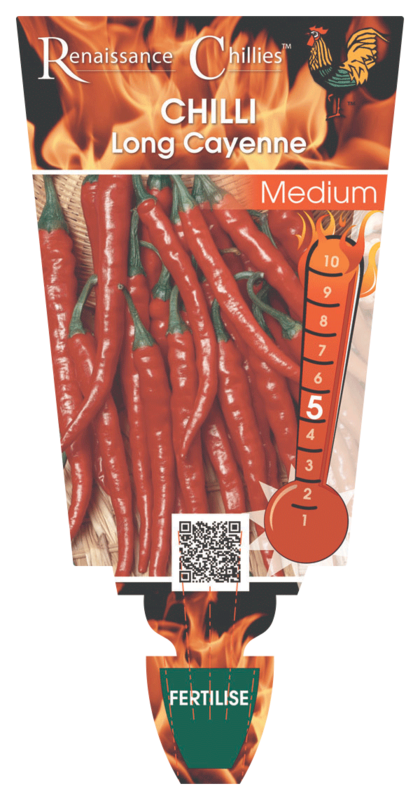 There are many forms that vary in colour, shape, flavour and of course heat. Thin walled fruit that are good for curries and pickling.